What is magnet shock absorber? It is a kind of shock absorber, especially a magnet shock absorber based on the principle of the same pole repulsion of magnets. The utility model is characterized in that it contains an inner core, an outer gallbladder, a magnet and a fixing plate, and a pair of magnets are installed on the front, rear, left, right and bottom five surfaces of the inner core and the outer gallbladder, forming five pairs of magnets, making them opposite to each other at the same pole, thus generating a certain repulsive force. The magnet on the bottom of the outer gallbladder can also be replaced by an adjustable flux magnet device, which includes a circular magnet, a square magnet, a worm wheel, or a direct current magnet, or a gravity sensor installed on the inner core, which can realize real-time online vibration control through computer control. What are the core components of magnet shock absorber? The core components of the system are the linear motor and electronic controller ECU. In fact, the linear motor is a linear motor composed of the stator coil and moving magnet. Its working principle is the same as that of an ordinary rotary motor. The common rotary motor uses the change of current to make the stator coil of the motor produce a rotating magnetic field and induce the rotor magnet to rotate. The linear motor can be seen as a general rotary motor from the center of the circle along the radius cut, the flat expansion so that the original rotating magnetic field will become a magnetic field moving in a straight line direction, and the rotation of the rotor will become a straight line movement. What is the use of magnets in shock absorbers? The high-density permanent magnet group is embedded in the moving piston, and the piston rod is fixed on the shock absorber cylinder body through nylon sliding bearings at both ends. There is an appropriate gap between the cylinder body and the piston so that the samarium cobalt magnet piston can slide freely in the cylinder body. The stator coil on the cylinder body is connected with the external electronic controller ECU through connecting wires. 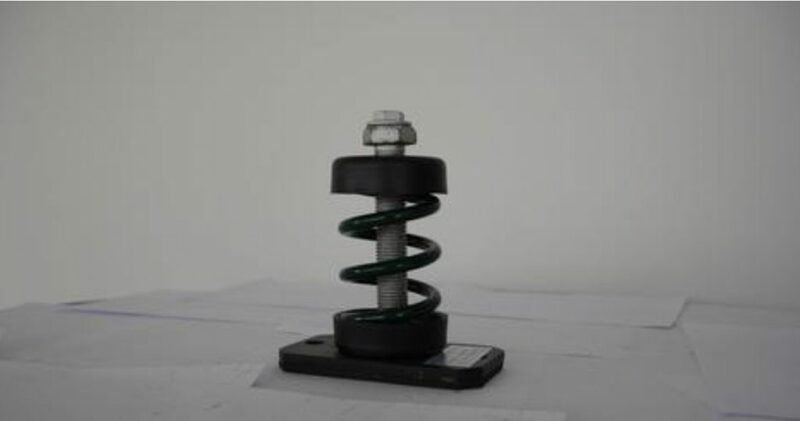 When the electric vehicle is running on the road with good vibration absorption performance, because the lower end of the shock absorber is directly connected with the wheel or rocker, it drives the permanent magnet piston in the shock absorber to move up and down. The strong magnetic field formed by the high-density permanent magnet continuously cuts the stator coil, so that the stator coil generates inductive alternating current, which is converted into direct current after rectification, and conveys the electronic control switch. The electronic switch directly controlled by ECU collects the induced electromotive force (average 25 W per trunk) generated on each electromagnetic shock absorber and the induced electromotive force (such as regenerative braking current) generated on other electronic devices, and transfers it to the battery for charging, so as to increase the battery power of the electric vehicle.